The First Annual Heroes Behind the Badges Blood Drive was in full swing th is spring between local law enforcement and fire agencies. 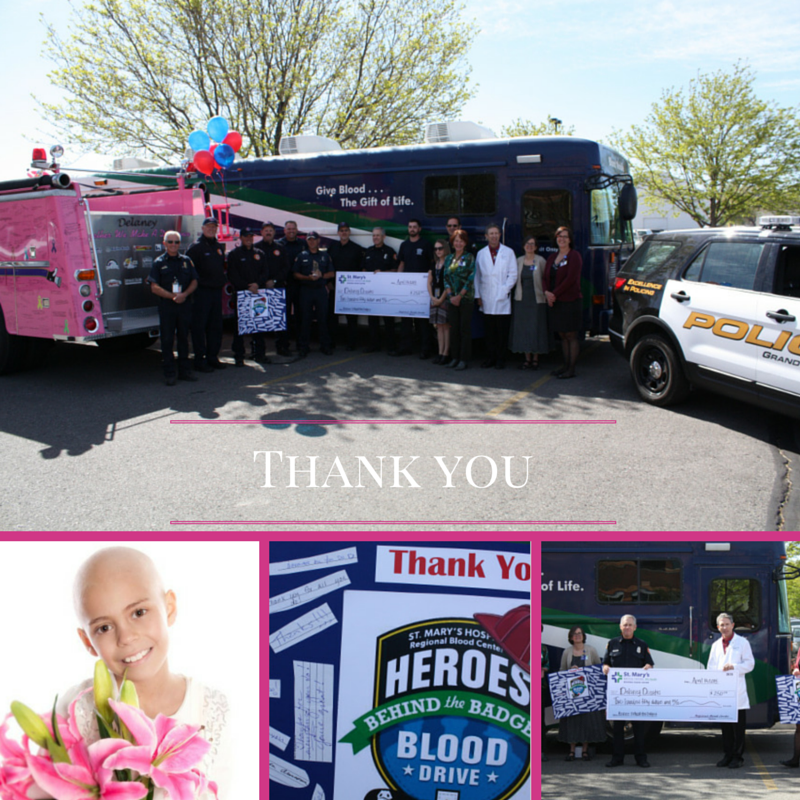 In total, 380 donations were made to either #TeamPolice or #TeamFire. In the end, #TeamFire came out on top and won the competition. Fire gathered 214 donations and police gathered 166. In addition to donating blood, community members wrote kind messages of thanks and appreciation to all local law enforcement agencies and fire departments. St. Mary’s has kindly created posters with the comments and they will be passed around to the different agencies during the upcoming weeks. #TeamPolice received a certificate of thanks for participating in the blood drive. This entry was posted in The Insider on The GJPD Patrol.